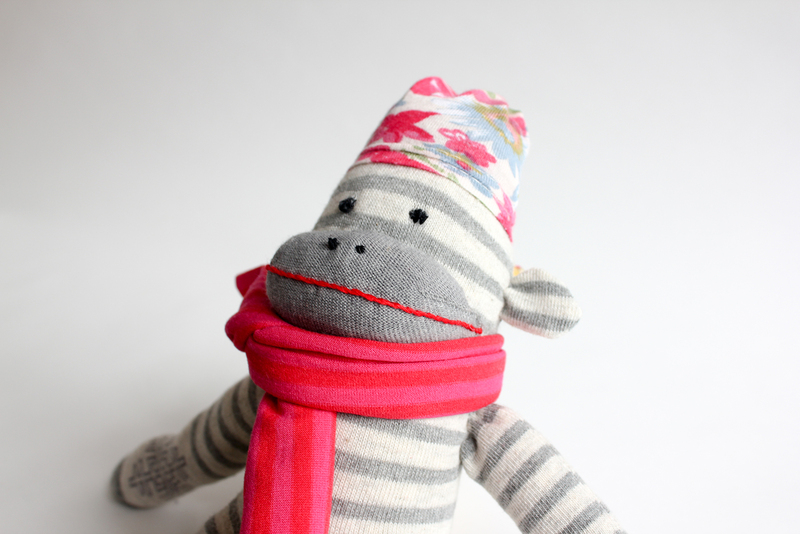 A recent present from my mother-in-law was hand-written instructions for making a sock monkey. She makes the most wonderful sock toys, so I was absolutely thrilled to receive a starter kit for making my own. 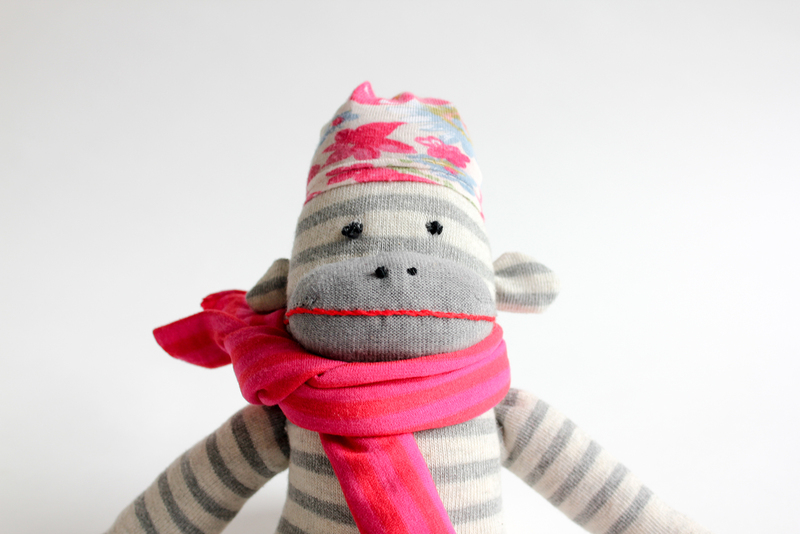 The recipient of my first sock monkey was my beautiful one-year old niece, Tracee.